An International Engineering Design Competition, thousands of students, hundreds of judges; all of this with one goal: Practical Learning with fun. This is Formula Student. Encompassing all aspects of the automobile industry which include: strategic conceptualizing, designing, manufacturing and commercializing a car, this competition prepares engineering students to be industry-ready. 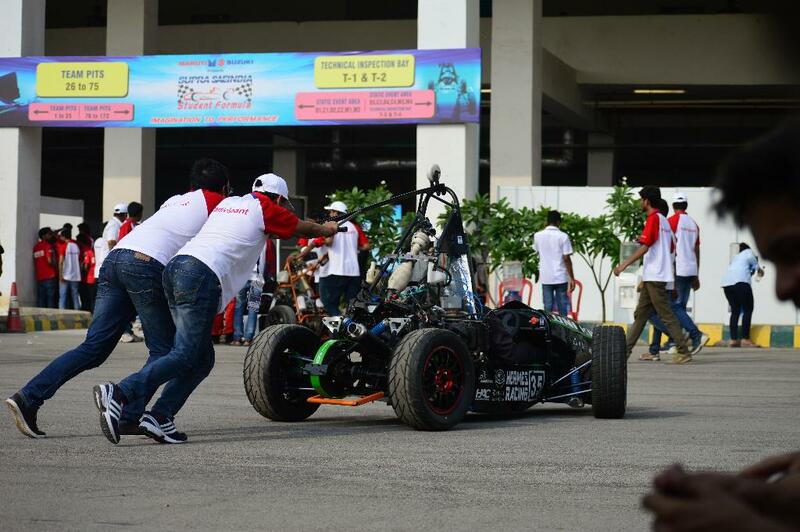 Hermes racing, of the Automotive Society, SAEINDIAKIIT, is the official Formula Student Team of KIIT University. 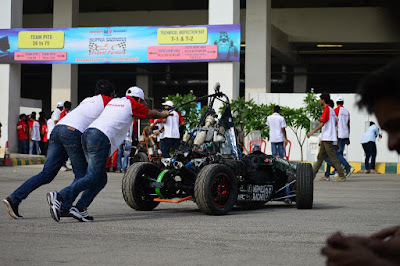 We participate in national and international engineering design competitions like Formula Bharat, Formula Student India and SUPRA SAE India. We are driven by the principle “Dream, Design, Drive”. From designing a car on computers to grinding metal for building the car, working tirelessly is our daily routine; operating yearlong to manufacture perfectly finished parts for our car. Rigorous testing sessions validate all the components. Documenting the prices from the engine to the smallest nut fixed on the car, preparing a business proposal to woo the investors; we do it all. Creating a strong public presence and working with the industry for mutual benefits, is another part of the game. The Team stands on three pillars: Innovative Engineering, Organized Teamwork, and Careful Project Management. Well, achieving 3rd position all over India among 150 teams does feel good. The program is designed to enhance the engineering, management and presentation skills of the students; skills essential for every industry. This has been proven by our alumni who are presently working in big corporate houses like Fiat, Tata and TVS. All this with limited resources. With more funds in the near future, we plan to compete against the world’s best teams at international engineering design competitions taking part in Germany and UK.